Since PDF is a platform and application independent format, it has become the most popular way to distribute and share documents via the Internet. ReaSoft PDF Printer turned creation of PDF documents into very efficient, easy and quick procedure. With ReaSoft PDF Printer you can create high-quality PDF documents out of any printable text documents and graphics files, including MS Office documents, images, web pages, e-mails, etc. 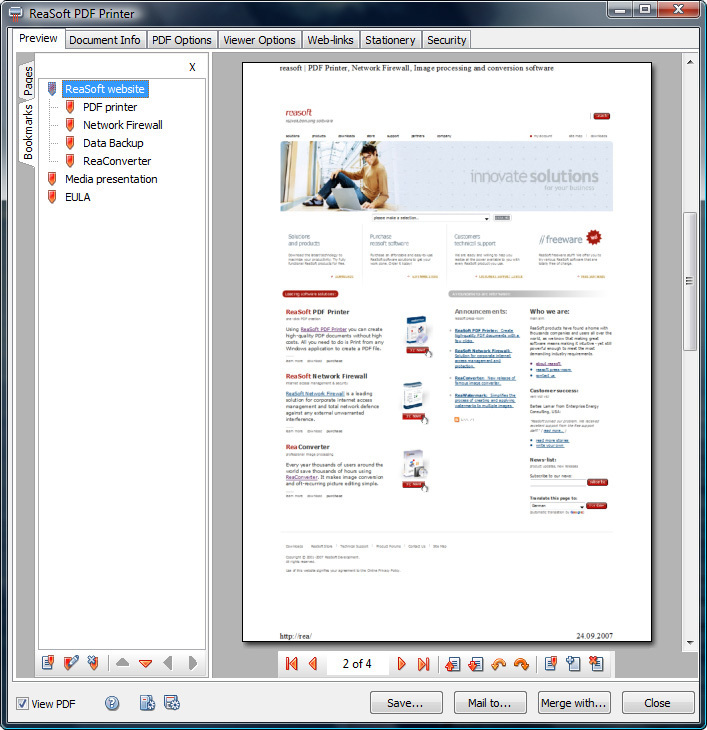 ReaSoft PDF Printer offers a large number of ways to customize your PDF files (with the optional "Advanced" PDF Save Dialog enabled). The "Simple" Save Dialog is intended for changing the default destination folder. The "None" Save dialog should be applied for the quick, automatic creation of PDF documents. You can save your PDF settings and load them later whenever needed.